Sony Mobile has announced the Sony Xperia Tablet S at IFA 2012. 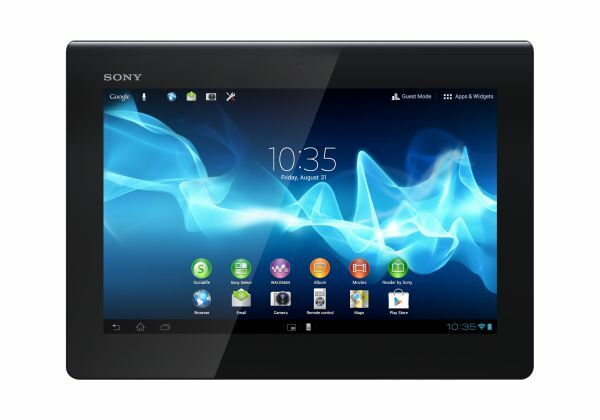 The Xperia Tablet S has 1.3 GHz NVIDIA Tegra 3 processor, 1 GB of RAM, 9.4-inch TFT Color LCD, 8 MP Rear Camera and 1 MP front facing camera. The Xperia Tablet S runs on Android 4.0 Ice Cream Sandwich. The tablet supports 3G, Wi-Fi and Bluetooth connectivity. Xperia™ Tablet enables multi-tasking between two applications by using one app in a small screen (Small App) while you continue to use the main app you’re in. Small Apps include Calculator, Web Browser, Voice Recorder, Timer and IR Remote. The Xperia Tablet S is available in 16/32/64 GB configurations and it will be available from the beginning of September 2012.